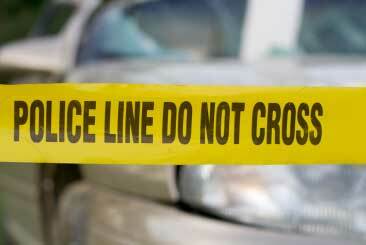 Law and Criminal Justice Public Relations: Have We Created A No-Win Situation? With this post, through the courtesy of some guest writers like this one from Leonard Sipes Jr. and Corrections.com, we’ll take a long overdue look at some of the specialties in PR. Today’s post takes a look at public relations in some of the law and criminal justice fields, and asks this provocative question: Have we created a no-win situation for PR pros in these fields? Check out the answer below, and feel free to tell us what you think. We complain that the media and public don’t understand what cops do and why they do it. This lack of understanding makes policing unnecessarily difficult. This applies to all facets of the criminal justice system. Is the lack of understanding the public’s fault, or ours? It is indeed ironic that Starbucks finds itself the target of complaints about racism, insensitivity and customer service. For much of its history, Starbucks has been a standard-bearer of progressive corporate leadership on a variety of social, cultural, racial, customer service and corporate social responsibility issues—which only goes to point out that no company can afford to overlook the quality of its ongoing relationships with its customers and, in addition, the power of social media to generate a communications crisis within minutes. First, let us admit that we’ve previously lauded Starbucks on several occasions for forward-thinking, courageous, and even bold stands on a variety of quality-of-life and social justice issues. From the much-despised Race Together initiative to progressive stands on employee relations, equity in leadership and pay, and establishing and setting a high bar on a range of everyday communications issues (digital and social media marketing), we like Starbucks and think they’ve set an example worthy of many corporations taking note. Nonetheless, we’ve also recently become disenchanted with some changes ushered in by Starbucks, which begin to raise the question we asked in some of our earlier social media posts re: Philadelphia, and even before: Has success spoiled Starbucks and caused it to take too much for granted, when it comes to its customers? And will one day of racial sensitivity and customer service training (designated corporate-wide for May 29) change that scenario? Bottom line, apparently had Starbucks started to believe—like too many banks and investment firms before it—that it’s too big to fail, or even immune to a stumble. The past few weeks should’ve changed that picture substantially. As we’ve noted in one of our social posts, in the past months, chairs have been noticeably missing from Starbucks changing business model. One of the things that has made Starbucks not only convenient, but indispensable in our informal, shared-workspace economy, is that Starbucks is, generally, an inviting place to conduct business. It’s convenient (practically omnipresent), more invigorating than the average office, and a good place to mix informal mingling with business function. I’ve seen everything from small-group meetings, to tele-conferencing, to actual business social activities held in Starbucks sites. As one journalist recently described it: “Starbucks, a brand that has positioned itself in our national consciousness as not just a restaurant chain or retail operation, but as a ‘third place’ meetup spot for the community.” So, this sudden removal of seats from a growing number of stores (across the Chicago area at least), is something of a slap in the face to loyal customers—business and social users alike–who Starbucks encourages to make repeat visits. So, perhaps the issue facing Starbucks in the Philadelphia case is about more than race, although its apparent that ugly racism may have strongly influenced the situation. Could it be that Starbucks was already losing touch with the people and the community values that made it a global juggernaut? 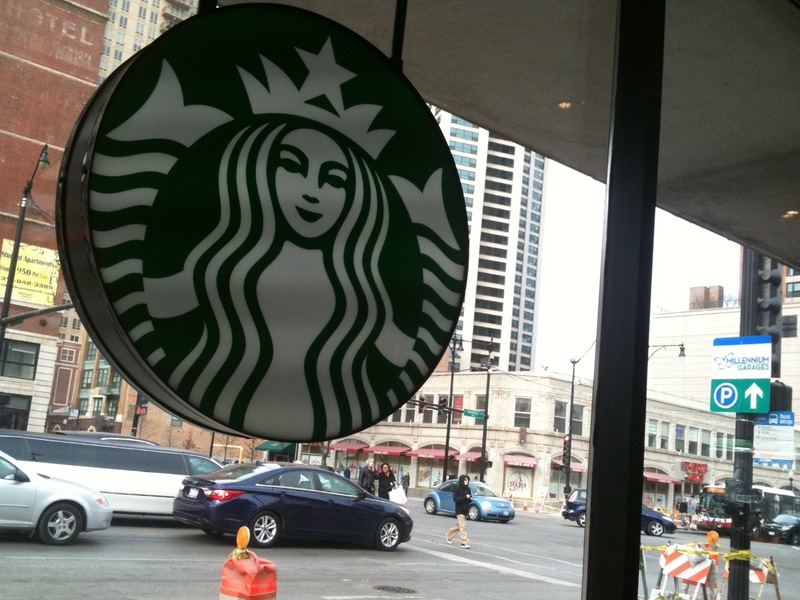 Can Starbucks pull it all together quickly to stay of damage caused by that shop in Philadelphia and other bad moves. Time will tell. The company has at least announced it’s closing the shop for one day in May to talk about race, and we hope many other customer service issues. Many of us will wait and see, before we make our way to a final exit. Thus far, March has been ripe with new ways to learn from the public relations paths (sometimes missteps) of others. Here’s our round-up of good reads covering various topics in PR. Also, every day some pros find themselves moving from entry or intermediate levels of PR to supervisory or senior management roles. How can you best position yourself for that career change. Laura Slingo offers this sage advice via PRWeek. Then, on a topic we’ll discuss more later, recent days have cast a long shadow over the Facebook juggernaut, bringing front and center an issue we’ve long advocated—greater social responsibility in the tech industries. This time it’s the issue of privacy and corporate social responsibility; previously it’s been diversity in tech. So, from Bloomberg, here’s a closer look at the making of a CSR issue that now has many people rethinking Facebook usage. As always, we’d love to hear back from you on these and other PR issues. Let us know what’s going on in your comments below. Cultural Appropriation and Brand Advertisements: What Could Go Wrong? For PR folks, the Ford Superbowl LII ad for Dodge pickups raises the issue, if not of diversity, then of extrapolation without context. The ad came under fire almost immediately for using excerpts from one of Dr. Martin Luther King’s “Drum Major” speeches, under compelling visuals, to promote the pickup brand. While not among the most offensive examples of commercial appropriation, it does raise questions of corporate insensitivity and points to the dangers of perhaps well-intended marketing folks extrapolating information—even for well-intended, though nonetheless brand-promotion purposes—without a full appreciation and context for what’s being used. Let’s examine more closely why this is a good case in point of good intentions backfiring. Clearly, the focus of the ad is serving—humanity helping humanity at all levels of the human experience. What could be wrong with that? Next point is that the ad was an obvious bow to our nation’s recognition of February as the “official” African-American history month, ergo, the use of Dr. King’s thought-provoking words and speech. The problem with juxtaposing the two ideas into a commercial spot for trucks is more clearly spelled out in this AL.com story originally from the Washington Post. Bottom line, Dr. King goes on in this same speech to talk about the dangers of materialism, and particularly uses the purchase of expensive vehicles as an example. The context would surely be a double-edged sword for a commercial message, especially for an automaker. Many found the ad insensitive, at the least, even without knowing the full context or full speech. The clear lesson for PR, advertising and marketing folks, once again, is before adopting cultural messages and touchstones into brand ads, be sure you understand the full context. Coming into 2018, the perennial question of diversity in media industries–specifically, public relations–continues to be a major issue. When will the talk result in action? And not simply action addressing a “pipeline” for those yet to enter the field, but action opening doors to experienced PR pros now looking for advancement and opportunity within the senior ranks of the field. Some of those questions are answered in this essay on public relations diversity by PR management consultant Rick Gould. On other aspects, we suggest evaluating the evidence by the same standards as PR professionals are typically measured–based on outcomes and results, rather than effort. You can read Gould’s article here. And merely days later, writer Aarti Shah provides additional insights into the slow progress toward diverse staffing in PR and marketing industries. Read it in Forbes. As media continues to digitize, it’ll be adopting emerging technologies into its day-to-day content production. The rise of emerging tech—virtual reality, augmented reality, artificial intelligence—affects and informs media’s push for digital. It’s a new content sandbox for publishers and their advertisers to operate in creatively, free of print’s two-dimensional limitations. Enjoy, and get ready! Read more here. And, be sure to let us know how you see public relations in the coming year. When public relations advice is bad, sometimes nothing could be worse. Such was apparently the case with Bell Pottinger, a British PR firm that last week was booted out of the UK’s professional body for bad practices. This was more than a case of conduct unbecoming. In fact, the Public Relations and Communications Association invoked its harshest penalty ever by expelling Bell Pottinger for inciting racial divisions during elections in South Africa. A toxic development for a country already fraught with racial divisions of historical proportions. 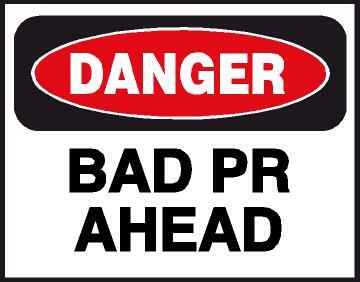 Truly, when public relations is bad, almost nothing is worse. It’s instructive for all business professionals, but particularly public relations folks, as well as the public at-large to understand the slippery slope of what went wrong at Bell Pottinger. Read a full report, including the statement from the PRCA, here. Breaking News Development: Since we posted this story. Bell Pottinger’s demise reported imminent for its public relations misdeeds. Read it here. MORE BREAKING DEVELOPMENTS: (9/15/17) Things get worse for Bell Pottinger. Latest reports say they’ve earned this moniker: “Worst Ethical Breach In History.” Story here. 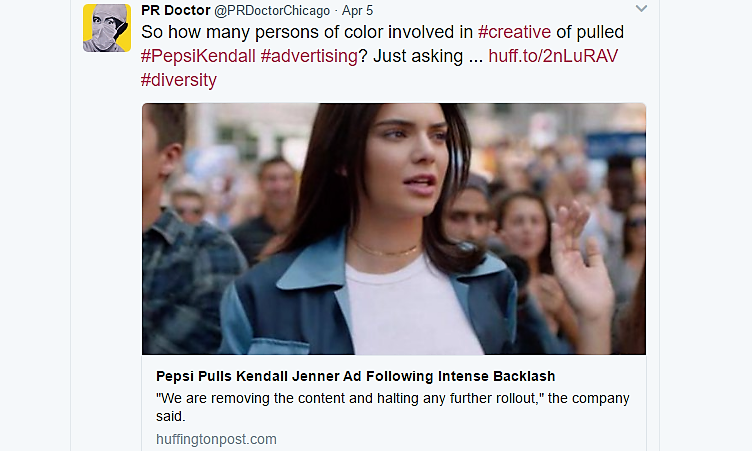 First, probably most spectacularly is the video commercial released by Pepsi, quickly tagged the #PepsiKendall ad, featuring top model Kendall Jenner. As you’ve probably already seen or heard, the commercial, although pulled from circulation almost immediately after its release, featured Jenner, abandoning her high-fashion photo shoot and blonde wig to join a passing multiracial, multicultural street protest conveniently passing by. After some lingering glances at an attractive male within the protest group, she quickly circulates through the crowd joining the front lines, where she ostensibly leads the group until they meet up with a line of waiting police officers who, as Stephen Colbert has described them, look every bit “the world’s least intimidating police force.” Bottom line, Kendall hands the cop a Pepsi, they both smile, he looks at the other cops down the line, then drinks the Pepsi while Kendall leads the other protesters in a rousing round of cheers. We’ll stop the action here, but we hope you see the problem. The Internet certainly did. 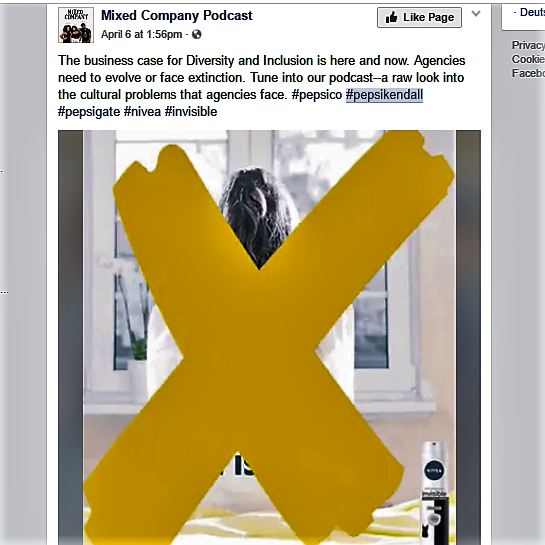 For us, this ad immediately raised the question of diversity on the team who created it—not to mention the marketing and other pros who approved it. What is it they missed that the rest of the world found immediate outrage in? This, we think, is the saddest part of this debacle: that highly paid professionals in major corporations and professional services agencies couldn’t see the offensive nature of this ad. 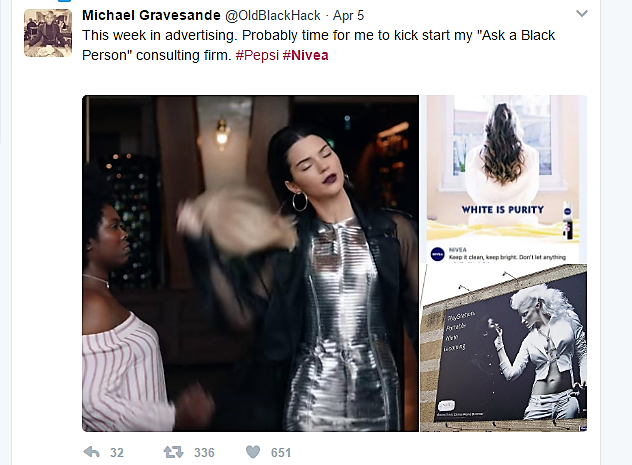 Any team member schooled in media stereotypes and commercial (cultural) appropriation–which should be everyone involved in creative development as well as the marketing of brand images–could have advised Pepsi to steer clear of its approach, for the clear reason it appears to trivialize people’s struggles for social justice and human rights. Certainly, we think, most persons of color involved in the creative development and marketing of corporate and brand messages (but perhaps not all), should have foreseen the trouble with this ad; so, our guess is that none played any major role in the creation of the spot. So instead what we got was among the worst demonstrations of what insular, self-perpetuating kinds of privileged and homogeneous teams produce for the rest of us. The ad looks good and paints a “pretty” multiethnic picture, but is completely devoid of any real sensitivity to the often life and death circumstances, struggles and ideologies that drive people to protest in the streets. And, ironically, the backdrop for all this uproar over media messages and images was the very real-life ongoing saga at Fox News regarding sexual harassment and gender discrimination against its female employees. Finally, as if to show that no contemporary industry is immune to calculated colorblindness and insensitivity, the fashion industry produced this outrage a short time ago. 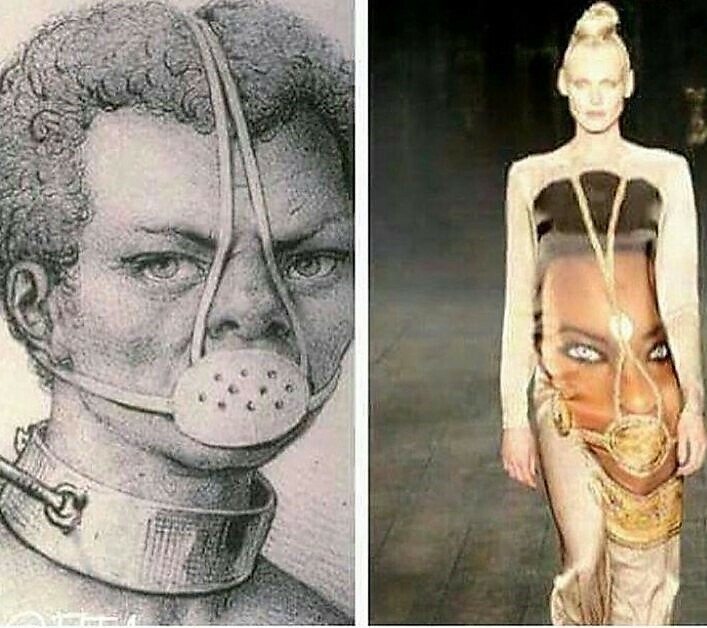 It’s what we called some of the worst kind of commercial/cultural appropriation, as this remnant from international slavery–a face mask forced upon workers in the fields to prevent them from eating corn and other crops they were being forced to harvest—was re-created as “fashion” for adornment on the runway. 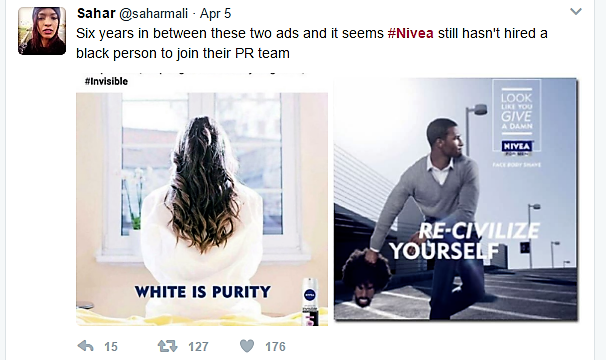 One of the PR lessons that all these corporate affronts, miscalculations and misjudgments tells us is that despite the current “zeitgeist” toward diversity, human rights and social justice that many companies are clamoring to tap into, too many of these companies remain bastions of privilege, homogeneity (in regard to race), and social and cultural isolation. One thing many public relations professionals have understood for decades is that sometimes the greatest challenge or threat to good PR isn’t external, it can be internal, exemplified by tone-deaf companies, tone-deaf work environments, and tone-deaf messages—often with toxic results. Alternately as publicists, communications strategists, social media marketers, and general media advocates—in other words, as Public Relations professionals—we’re highly interested in the evolving world of new media, technology, and new methods and distribution channels for reporting. We understand that these developments are an integral part of what we do, and we’re pleased to be actively involved in some of these spaces. In the past few months we spent time away to examine more closely what’s happening in the fields of journalism, media, technology, and therefore public relations. We’re excited to post our first findings here. Capping our activities, we participated in Illinois Humanities People-Powered Publishing Conference, subtitled “Innovation, Community, and the Future of Journalism.” As it turned out, this conference gave us a national picture of what’s happening in these areas. To begin with, perhaps in the future, the whole concept of “audience” will change, or even diminish. Hearken, the company behind its namesake community engagement platform for news organizations, describes the audience as all of us, and the relationships we share with others. By this view, the “audience” isn’t consumers, or for PR purposes “publics,” sitting out there waiting to engage with us and what we do; the “audience” is our network of friends, associates and even strangers who we interact and engage with in some way on an ongoing basis. Think of it—as a practicing or aspiring journalist, PR person, social marketer, content developer or thought leader, you view yourself as an integral part of whatever community you’re looking to engage with, and not separate from it. Otherwise, you’re missing the point. When you’re in almost any business, especially media, PR, journalism and social networking, how we share information and receive feedback is vitally important. There’s a lot of study, development and, in some cases hand-wringing, going on related to how best to share, then receive and process feedback. 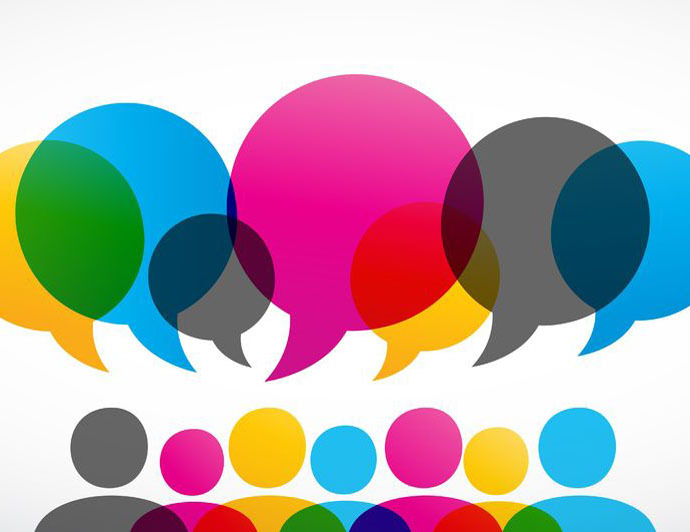 In the real media world of today, much of that receiving feedback focuses on comments—how to receive them, what to make of them, and how best, or even whether, to respond them. Here’s a peak at how much actual science is going into how individuals are managing daily, or should be managing, such interactions as comments. While we’ve always agreed that it’s not the best judgment to assign digital and social media curation to an intern, as many do, we wondered how much actual forethought organizations are giving to addressing crucial questions like those above, directly tied to audience engagement. It was also exciting to see that one group, the Engaging News Project makes the case for and offers additional feedback tools such as downloadable buttons for Respect, Important, Recommend, etc., for posted content. Of course, your individual goals, objectives, organizational culture and policies, should guide answers to some of these questions. However, it was great for us as consultants and counsel to re-examine some of these questions to make sure we consider a wider array of options in making recommendations to clients. 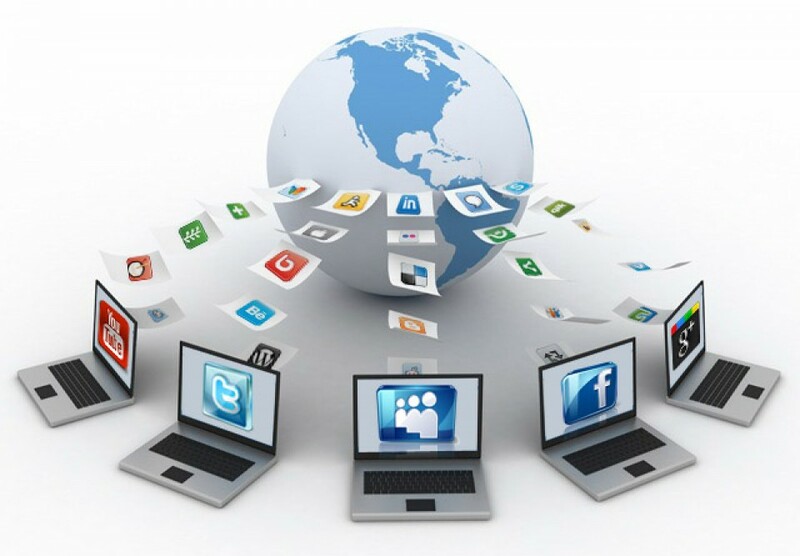 Some of the other organizations actively promoting more open and collaborative efforts include The Pew Center for Civic Journalism, which describes itself as “an incubator for civic journalism experiments that enable news organizations to create and refine better ways of reporting the news to re-engage people in public life”; the Coral Project, dedicated to creating open source tools to further empower news content developers of all sizes; and university-based research centers such as the Engaging News Project, at University of Texas/Austin, mentioned above. In addition to all of these, there are a number of working models and examples of collaborations between media and community organizations aimed at diversifying news gathering and news content. At People-Powered Publishing, several of those featured included experiments in Baltimore, Chicago, Philadelphia and Kansas City, to name a few. More specifically on the technology front, Mozilla OpenNews, enables peer-to-peer networking and problem-solving by techs, journalists and digital content producers to “help journalism thrive on the open web.” It’s an example of the kind of high-stakes networking, research and development, and collaboration taking place to maximize and support technological developments in the news business. At behooves all PR pros to at least be aware of these initiatives, and to perhaps look for ways to participate and engage on behalf of their organizations or clients. The news business is changing radically right before our very eyes. 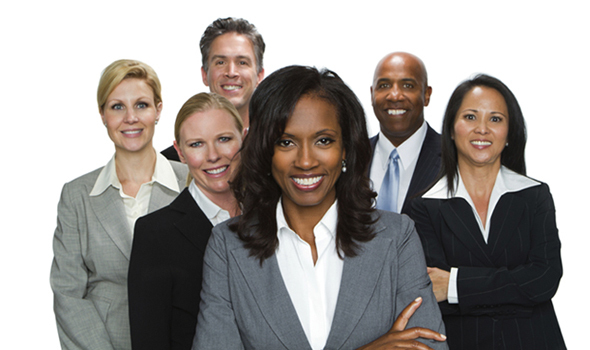 It’s important for public relations professionals to be on the cusp of those changes.